Prime East Lakeview location on an EXTRA-WIDE LOT( 60') with 2000sf, 3BR & 2Bth + large balcony with heated garage in Nettlehorst school district. This home features high-end finishes in pristine condition with spacious room sizes, 10' ceilings, huge windows, great light, gorgeous hardwood floors, custom millwork/wainscoting & crown molding thru-out. Professional Chef' kitchen with S/S Viking appliances, wine cooler, granite counter-tops on island & breakfast bar, full stone backslash & plus walk-in pantry. Fireplace in huge Living & Dining room, Surround sound, full laundry room with side by side W/D, custom closets. Large master suite with walk-in closet, Master bath spa with steam shower, heated floors, soaking jetted tub, double vanities. Stunning building with solid masonry in excellent condition! 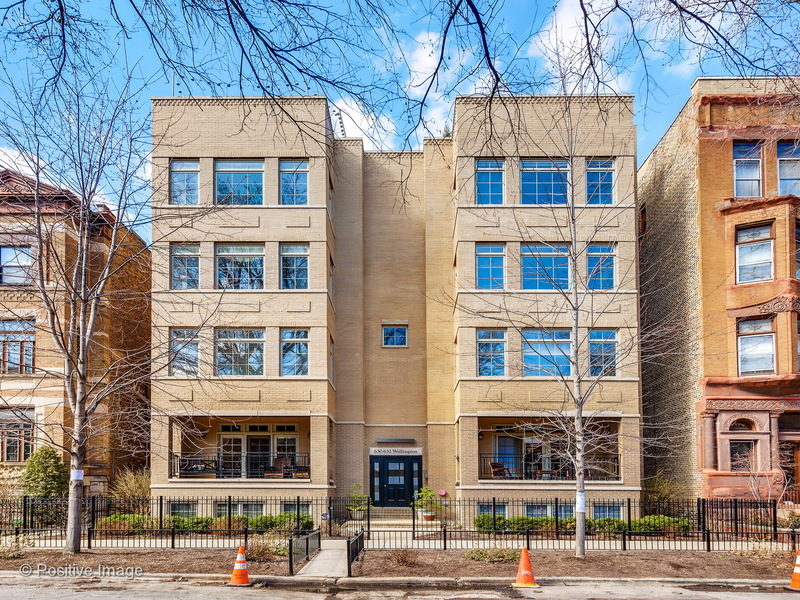 Steps to Lincoln Park, the Lake Michigan, Diversey driving range & harbor, new Marino's, XSport and all the Lakeview East restaurants & nightlife. Coffee Shop 0.30 mile - Diversey Starbucks @ 617 W. Diversey Pkwy. Property information last modified by seller on Friday, October 05, 2018, 12:24 PM CDT. Information Deemed Reliable But Not Guaranteed. Unauthorized duplication, use, or linkage is prohibited. The information on this web site is for personal, non-commercial use and may not be used for any purpose other than to identify prospective properties consumers may be interested in purchasing. Monthly Payment Calculator results are for illustrative purposes only, not a financing opportunity; calculations assume a 30-year fixed-rate mortgage and do not include closing and other costs. Property Tax on NEW properties is estimated at 1.5% of Listing Price for payment calculation purposes; actual value may be higher or lower.